Hear from government and industry leaders about the challenges and solutions associated with the delivery of world class community engagement in infrastructure development. 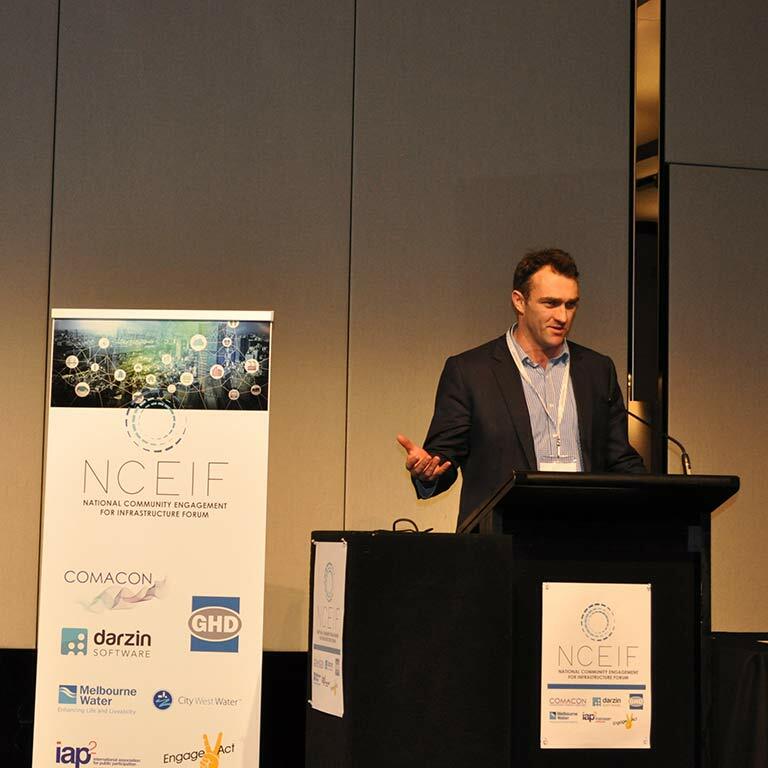 The NCEIF will continue to provide highly engaging sessions in Sydney in August 2019 - Don’t miss out! The Forum Cocktail Party will be held on Thursday 22 August 2019 at the Pier One Sydney Harbour, Autograph Collection from 6pm to 8pm. The conference is a not-for-profit event aimed at building capacity within our industry and helping Government and the private sector deliver infrastructure which achieves the best outcomes for all stakeholders. Explore best practice solutions with fellow industry leaders, including community and stakeholder engagement professionals, communication consultants, policy makers, civil engineers, urban architects, technology experts and related professions. The Registration Desk opens at 7.00am on Thursday 22 August 2019. Please check in at the forum registration desk before proceeding to the main forum hall. The Welcome to Country Ceremony and Official Opening will commence promptly at 9.00am. The Registration Desk opens at 7.00am on Friday 23 August 2019 in the main Forum hall. Note the igloos are subject to weather conditions allowing them to still be in place for the event and may be replaced by exclusive event areas. Built on and over the water, Pier One Sydney Harbour, Autograph Collection celebrates the heritage of Australia at every opportunity. The Walsh Bay hotel mixes Federation-style décor with contemporary elements, and its enviable location alongside the Sydney Harbour Bridge allows for spectacular water views. Relax and travel by bus, train or ferry to Circular Quay, then it’s a lovely stroll, (10-12 minutes), to Pier One Sydney. Thank you for your interest in presenting at the second National Community Engagement for Infrastructure Forum (NCEIF) being held in Sydney on 22 and 23 August 2019. The NCEIF Committee will be reviewing all applications and you will be advised if your application is successful. The forum is a not-for-profit event aimed at building capacity within our industry and helping Government and the private sector deliver infrastructure which achieves the best outcomes for all stakeholders. Receive periodical emails about our Organisation and Events.